Kenya's new presidential election has been delayed to 26 October, after the country's polls commission sought more time to reform voting processes. The re-run had originally been scheduled for 17 October. 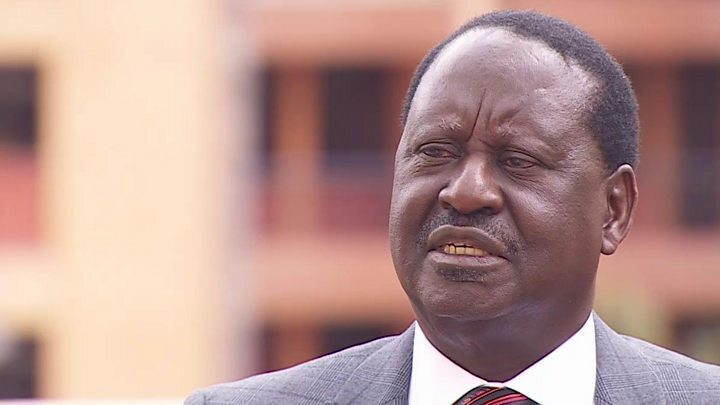 The move came as President Uhuru Kenyatta accused the country's Supreme Court, which annulled the first vote, of staging a "coup" against the people. Observers fear Kenya's political temperature is rising, reviving fears of political violence. Around 1,200 people died in clashes after a disputed 2007 presidential vote. 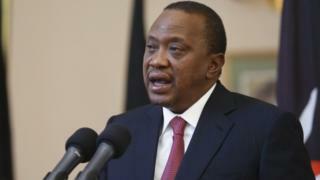 "A coup in Kenya has just been done by the four people in the Supreme Court," Mr Kenyatta said during a televised meeting with supporters. The election board said last month that Mr Kenyatta had won 54% of the vote on 8 August, against opposition leader Raila Odinga's 44%. But Mr Odinga went to court insisting he had been cheated of victory. The Supreme Court judges concluded that the poll was "neither transparent or verifiable", and took the unprecedented step of annulling it on 1 September. The judges released their full comments on Wednesday, and lambasted the Independent Electoral and Boundaries Commission (IEBC) for mishandling the election. In response, the polling body said it needed more days to fix the issues that got the first vote annulled - and imposed a nine-day delay. The BBC's Alastair Leithead reports from the Kenyan capital that unless politicians tone down their rhetoric and control their supporters, tensions there could rise and protests might escalate. 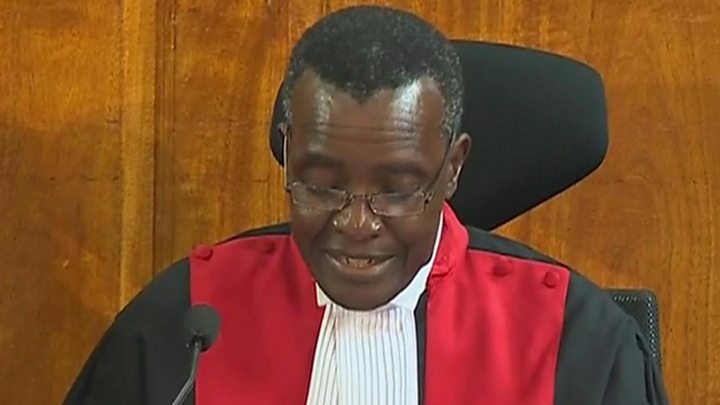 Media captionJustice Maraga declares the election "invalid, null and void"
What next for Kenya after cancelled presidential election?